3 in. Heavy Duty Coat & Hat Hook Chrome Organization with style has never been so easy. This metal hook is designed to hold a wide variety of items coats, hats, handbags, umbrellas, towels or robes. This classic design is perfectly suited for any room from the entryway to the bathroom. 3 in. 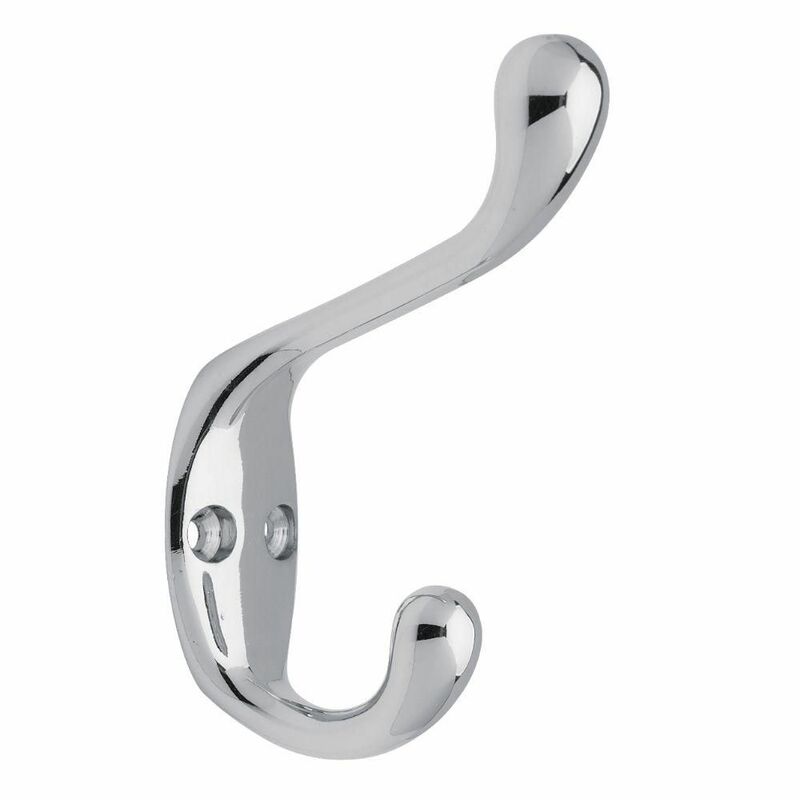 Heavy Duty Coat & Hat Hook Chrome is rated 5.0 out of 5 by 3. Rated 5 out of 5 by Melody from Exactly what I wanted, looks great in laundry/mud room.... Exactly what I wanted, looks great in laundry/mud room. Rated 5 out of 5 by 10dB from "Goldilocks" perfection My local Home Depot had some really poor quality coat hooks (thin with sharp edges) for only slightly less than these hooks and high priced "decorator" hooks (many of which are just plain weird) and then these -- reasonably priced, high quality, and good design. Goldilocks would say "not junky, not over priced, just right."